On August 4th, 2016, Hard To Believe will be screened at the NSW Parliament House from 5:30 PM to 7:30 PM (AEST), followed by a Q&A panel discussion. For detailed speaker biographies please scroll down. Ethan Gutmann, an award-winning China analyst and human-rights investigator, is the author of the award winning book Losing the New China: A Story of American Commerce, Desire and Betrayal. He has written widely on China issues for publications such as the Wall Street Journal Asia, Investor’s Business Daily, Weekly Standard, National Review, and World Affairs Journal, and he has provided testimony and briefings to the United States Congress, the Central Intelligence Agency, the European Parliament, the International Society for Human Rights in Geneva, the United Nations, and the parliaments of Ottawa, Canberra, Dublin, Edinburgh, and London. A former foreign-policy analyst at the Brookings Institution, Gutmann has appeared on PBS, CNN, BBC, and CNBC. His most recent book is The Slaughter: Mass Killings, Organ Harvesting, and China’s Secret Solution To It’s Dissident Problem. Ethan is one of three researchers who just released a ground breaking report An Update to Research On Organ Harvesting in China. Ethan will give personal insights regarding this new report, which meticulously examines the transplant programs of hundreds of hospitals in China, drawing on media reports, official propaganda, medical journals, hospital websites and a vast amount of deleted websites found in archives, ethan-gutmann.com. Enver Tohti worked for over 13 years at the Railway Central Hospital in Xinjiang, China, as a surgical oncologist. After discovering the connection between the disproportionately high malignant tumour rate and the nuclear test in the Tarim Basin in Xinjiang, he exposed the devastating effect of the nuclear test by making the documentary film Death On the Silk Road. As a result he was compelled to quit the PRC and seek asylum in the UK. of other Uyghur Diaspora organisations based in the West, so he detached himself from the World Uyghur Congress and continued his individual crusade thereafter. Tohti created the online platform Silk Road Dialogue, where various interest groups could share their views and debate controversial issues in a civilized manner. Professor Fiatarone Singh is a geriatrician whose research, clinical, and teaching career has focused on the integration of medicine, exercise physiology, and nutrition as a means to improve health status and quality of life across the lifespan. 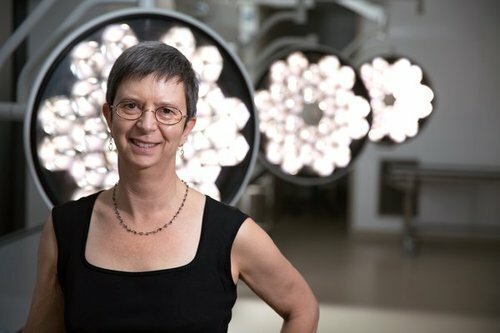 She has held the inaugural John Sutton Chair of Exercise and Sport Science in the Faculty of Health Sciences, and Professorship, Sydney Medical School, at the University of Sydney since 1999, and has been awarded many grants from the government and other funding bodies to conduct research into exercise and aging. She is the founding director of the Fit for Your Life Foundation, an international non-profit organization, and co-founded the STRONG Clinic at Balmain Hospital. She has published extensively in the area of health implications of exercise and nutrition and is actively involved as a Medical Advisory Board member of the international group DAFOH (Doctors Against Forced Organ Harvesting). Wendy Rogers is a Professor of Clinical Ethics and Deputy Director, Macquarie University Research Centre for Agency, Values and Ethics. She has a long-standing interest in the ethics of organ donation and transplantation. While a member of the Australian Health Ethics Committee (2003-2006), she served as deputy chair of the working party responsible for developing the National Ethical Guidelines on Organ and Tissue Donation. She also served on working parties developing national guidance on donation after circulatory death. Her current research interests include organ donation, research ethics, ethics of surgical practice, and over diagnosis. Wendy's work is widely published in international journals and she is the co-editor of a recent collection on Vulnerability (published by Oxford University Press). For more information about this event, please visit Eventbrite.